Recent aerial photographs of extensive pollution at industrial sites in northern China have caused a public outcry, and calls for action from the authorities. The images, taken by a drone, show a cluster of dark red and rust-coloured pits occupying a big patch of land in a village called Nanzhaofu in Hebei province. The NGO which broke the story, Chongqing Liangjiang Voluntary Service Centre, said preliminary tests it conducted showed the waste water in the pits was strongly acidic. The pollutants have been been there for years, it said, meaning the underground water might have been contaminated. 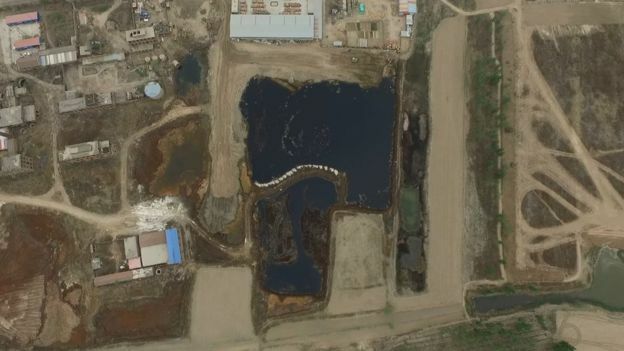 The centre said three pits in total had been found, covering a total of 350,000 sq m.
The two largest were 500m apart in Nanzhaofu while a third smaller one was found in Xizhaizhuang county in Tianjin. Together, the two provinces circle Beijing. Volunteers told Chinese media that similar polluted land could be found in other provinces. After the images were published on the NGO’s social media accounts last week there was an outburst of public anger. “Those photos are shocking, the authority has been doing nothing, I am so angry!” one social media user said. “My aunt is from that county in Hebei, she died from cancer two years ago. Her grandson is suffering from cancer and her mother in law has cancer too,” said another. It’s still not clear where the contaminants came from, but the local authorities were quick to respond to the anger and launch an investigation. The Tianjin authorities sent workers to clean up the pit there, along with three other contaminated sites. They promised to eradicate the problem before the end of July, but this did little to ease the anger. 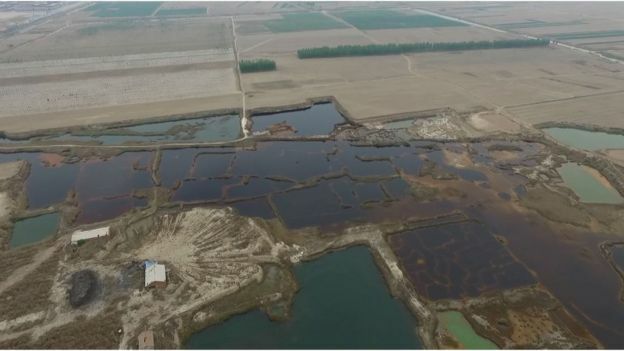 In Hebei, authorities blamed local people for the contamination, saying they had been illegally dumping acid waste for years. The main suspect had been arrested in 2013, they said. But on social media, people are asking why, if the suspect has been arrested, nothing had changed and the land is still contaminated. Reporters who visited Nanzhaofu were told by locals that their lives had been severely affected by the pollution – cancer rates were increasing, they claimed, and a pungent smell had filled the air in the summer in recent years. They don’t drink well water, instead they either buy barrel water, or get to a well 5km away in a neighbouring county. In its annual report this week, the environment ministry said water standards in some areas of northern China had declined since 2015. 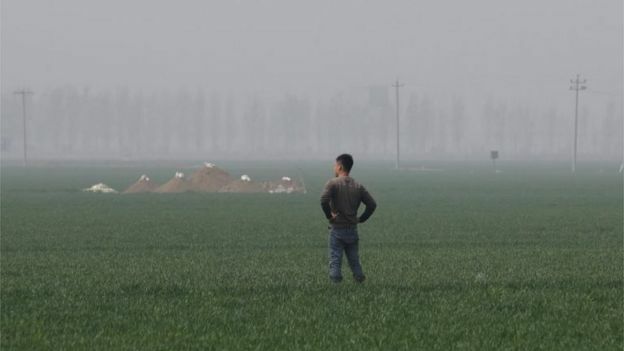 Environment Minister Chen Jining said water samples found 36.3% of heavy polluting industries’ land and the surrounding soil did not meet government standards, according to a report by South China Morning Post. However, Mr Chen said China’s overall condition of air, water, and soil pollution had improved in 2016. One particular area of concern among the public comments has been that all the three sites are less than 100km from Xiong’an, the area of Hebei recently identified as the location of a new Special Economic Zone. The decision will bring huge investment to the region, putting it on a par with areas like Pudong in Shanghai. 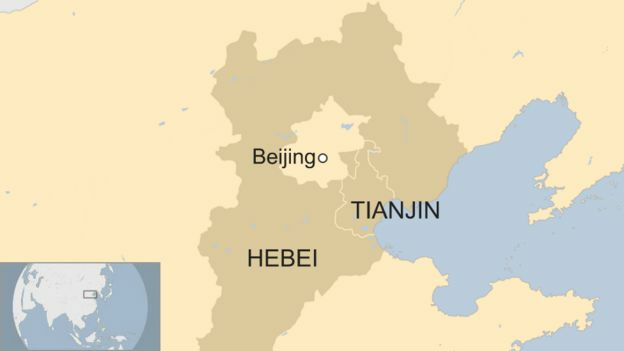 It will serve as an extension of Beijing, and the Hebei party chief has said the project would prioritise ecological development and “build a new area of green, forest, wisdom and clean water”. But Hebei has been notorious for its pollution levels for years. Many have been asking whether it’s right for China to begin developing a new area if it can’t keep the existing one clean, and whether the necessary environmental protections really will be put in place.